Today’s Photoshop tutorial is going to be an engraving effect on solid steel. 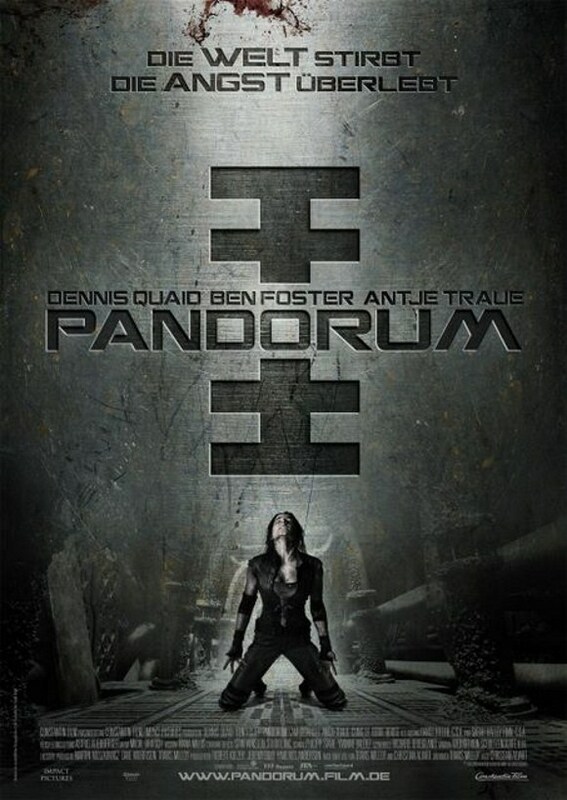 The effect is inspired from the movie poster of the action sci-fi film PANDORUM. But instead of using unfamiliar alien symbols and the same visual quality, I am going to show you how to recreate the effect with better texture and contrast, and of course, using a dragon figure to make it look like a medieval inspired composition. So, the first steps you need to do are to prepare your Photoshop document. Use your maximum screen resolution as your document resolution. In this way we can use the final output as our own desktop wallpaper. Open up Google search, and look for Large Sized images using keywords like steel textures, metal textures. You need to download TWO(2) large sized images for this project. 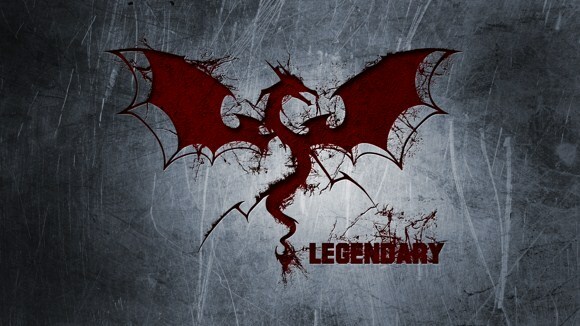 Next, search for images of dragon shapes using keywords like “dragon + silhouette”, “dragon symbol”, or “shape”. I am certain you will find large images for this category. Also, download set of Photoshop Brushes(*.abr files) namely “Cracked Edges Brushes” from DeviantArt community from ~wyckedBrush. 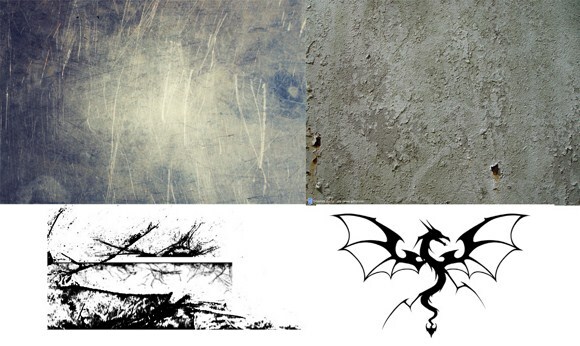 So in summary you need 2 steel/metal textures, a silhouette or symbol of a dragon (preferably in solid white background), and a set of Cracked Edges brushes. On the first metal texture, you may see uneven shades or areas where parts are lighter than the rest of the image. 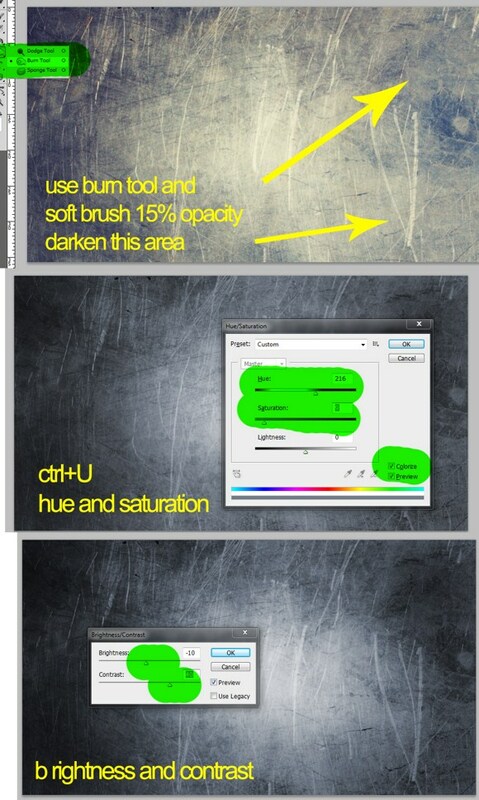 Use Burn Tool (hotkey O) in COMBINATION with a soft brush in color Black, preferably in 10-10 percent brush opacity. Open the hue/saturation adjustment panel (hotkey CTRL+U). Enable colorize, adjust the hue parameters until you get a soft bluish wash. To weaken the blue factor, just reduce the saturation levels. Lastly, reduce the brightness a bit and add more contrast. Brightness and contrast is found in Image > Adjustments. Open the dragon silhouette or shape. Cut and copy the dragon figure excluding the background. This explains why images with white background are easier to manipulate. Paste the copied shape to the main document over the metal texture. Load your cracks brushes and apply cracked areas along the edges of the shape. Next, MERGE the CRACKS with the DRAGON shape. Be careful not to merge it with the background metal or the default background and anything else. Once merged, apply a layer style, the color overlay with a blood colored red. The fix the color as base/permanent color of the dragon, create a blank layer and then merge it with the dragon shape. You will see that the image is still in red but without layer effects. Next, on the red dragon layer, appy a layer effect called inner shadow, choose black as shadow color, set distance to about 15 pixels, choke close to 5 pixels, and spread to about 15 pixels. Apply the effect. Import the second texture you have prepared. Place the texture in accordance with the location of the dragon. Make sure the dragon shape is covered under the texture. Press ALT+CTRL+G to create a Clipping mask to the dragon. 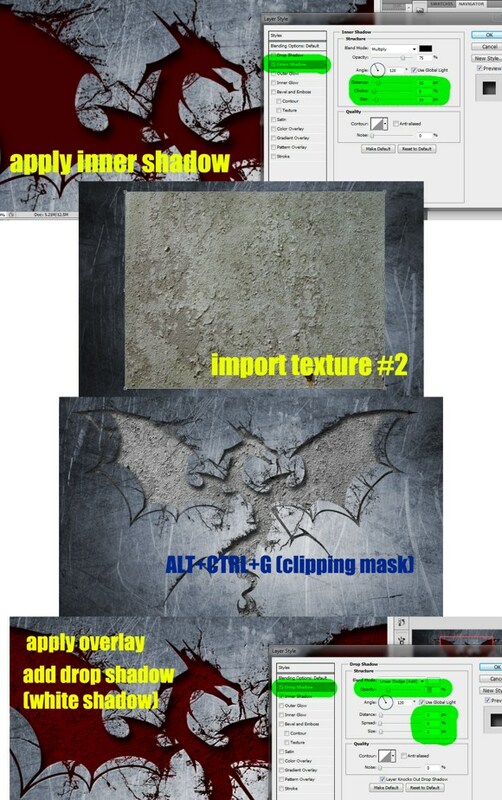 This trick will make the texture only applicable to the dragon layer. set the layer blend mode to overlay, viola, you now have a red textured dragon engraving. To make the engraving much more realistic, apply a drop shadow on the dragon layer. but instea of using black color as shade, we will USE the WHITE color with LINEAR DODGE(add) as the blend mode. Set the distance to 2 pixels, choke to none or 0, and spread to 2 pixels again. There you have it. You have already made yourself a cool personalized engraved wall paper. Note that you can also apply this effect on RASTERIZED text object. Feel free to try other shapes other than the dragon. There you have it. Remember to share your work or questions in the comments. position cursor between your metal rust layer and the dragon layer. Hold alt and left click... PS will clip the metal layer to your dragon layer. That's very simple and effective. It makes basic illusion with dimensions.